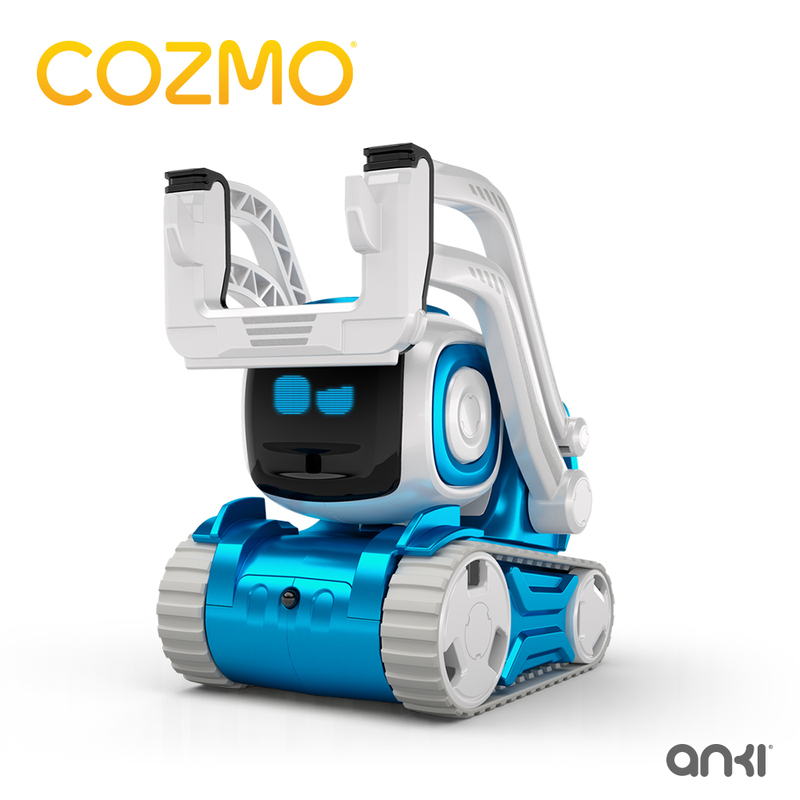 Cozmo Limited Edition Coming Soon! Undoubtedly 2017 has been an eventful year for our little robot with an over-the-top personality, Cozmo. Not only did we introduce Cozmo to new families across the globe including Canada, UK, France, Germany and Japan, but we also focused our efforts on showing Cozmo owners that programming our bot with Code Lab offers limitless opportunities to unleash their creativity while also having an amazingly fun and engaging time. Since the release of Code Lab, we’ve shipped over 30 unique games and activities built with the platform that you can also “remix” to make your very own creations. Last year, we launched the Cozmo Collector’s Edition in Liquid Metal Finish to commemorate the global roll-out of Cozmo. This year, he’s getting a new look and it’s beyond electrifying! Meet Cozmo Limited Edition in Interstellar Blue. He's the same robot, just with a dazzling blue exterior that perfectly complements his mostly dazzling personality. Joke alert: what’s blue and not heavy? Most would say light blue but we think the answer should be Cozmo Limited Edition! Starting today, you can pre-order the new Cozmo on Anki.com for $179.99; he’ll arrive in stores sometime in November. Also, be sure to check our website for info on where the Cozmo Limited Edition will be available in participating countries. Since we launched Cozmo almost two years ago (how time flies! ), we’ve pushed out close to 25 free software updates to add new, exciting capabilities to our bots. These updates have included new interactive experiences; games; animations that Cozmo displays on his face; songs; and many more. And we’re nowhere near done. In a few weeks, we’ll publish a new software update for Cozmo, focused on making the most relevant Cozmo content easily accessible through the Cozmo app. And we’re working on an entirely new way for Cozmo to express his personality for this Holiday. 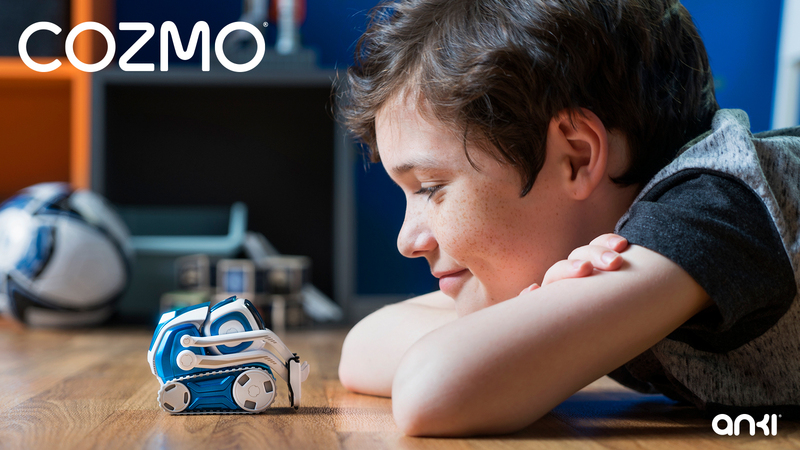 Lastly, remember that you also have the power to create dynamic content for Cozmo! We’ve already included several fan-generated content as Featured Projects in the companion app and are always on the lookout for more.